This necklace has the best of both worlds. 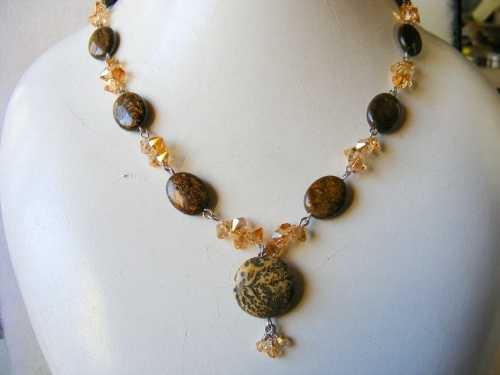 Brandy colored Swarovski crystals and natural bronzite gemstone beads make this a gorgeous piece to wear. Has a citrine secure box clasp and, measures 20" in length.